In Summer 2017 I planned, produced and delivered a summer school programme for young people aged 14-19 through Cubitt Education. 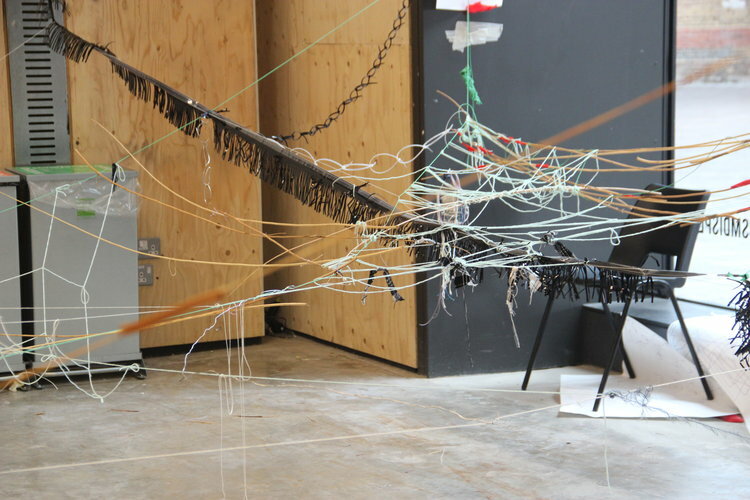 Woven Stories was a three-week artist-led summer school, hosted by Central St Martin’s Art College in August 2017. 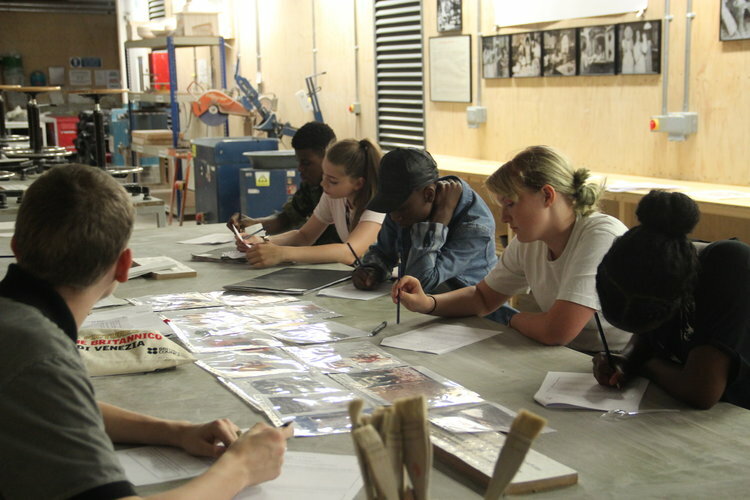 Accredited by Arts Award, it formed part of Cubitt Artists’ flagship young people’s programme, The Institute of Anything. 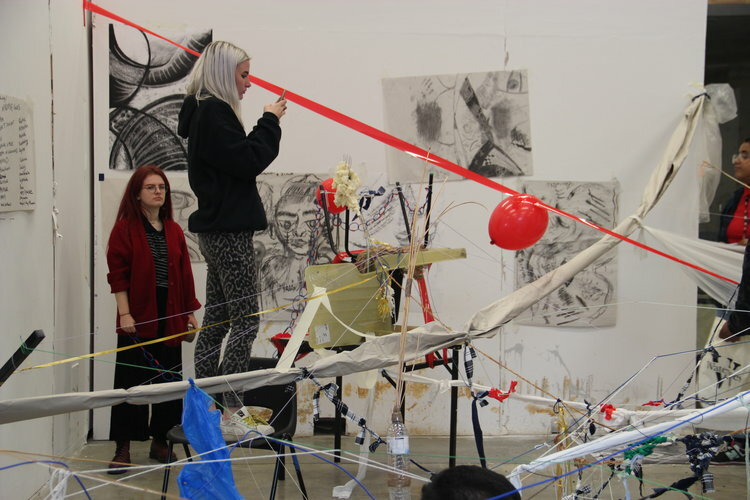 During the course, the talented cohort worked with contemporary artists including myself, to develop their practice. I programmed the entire course, comissioning a number of artists to deliver masterclass style sessions. These included Bettina Fung, who led a session in experimental drawing, and Lisa Luxx, who introduced the group to performance poetry. They took part in sessions with Central St Martin’s tutors, Stephanie Buttle and Lucie Libotte to learn skills in ceramics and weaving using the college’s facilities. In a workshop led by Sam Curtis and Mario Dellow, the group took to Chapel Market in Angel to find inspiration and materials for collaborative installations. As well as learning new skills, each young person developed a personal project based on their own interests; these ranged from a shrine to common people to a robot-inspired photography piece. 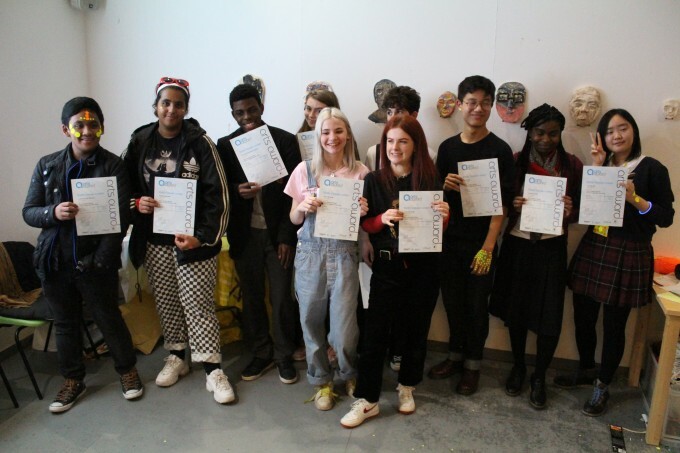 The programme was generously supported by Central St Martin’s College, UAL, Islington Council’s Summerversity and Launchpad programme, and Arts Award Access Fund.